Achievements PR company and ICG spzo under the auspices of the Greater London Authority will hold a number of events in 2012 focused on advertising the 2012 UEFA European Football Championship hosted by Ukraine and Poland. All events will be held as part of the 2012 Cultural Olympiad programme of the Summer Olympic Games on January 1, 2012, to August 1, 2012, initiated by the GLA. The programme of events has been already included into the Cultural Events Brochure for the Summer Olympic Games. The brochure covers all events to be held in London in 2012 on the threshold of the Olympics. Ten to fifteen advertising events are planned to be organized at best sites of London. Their aim is to draw interest of the international community to Ukraine and Poland, and to encourage a wide-scale arrival of fans to Euro 2012 matches. Outdoor advertising space, parks, central streets, London’s top galleries and concert halls will be assigned for this purpose. 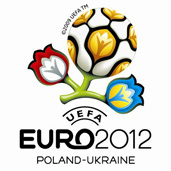 “Begin your sports summer from the Euro 2012 Tournament in Ukraine and Poland”. Central located apartment, in the heart of Kiev downtown (115 Saksahans’koho street). Walking distance to the principal city attractions: Olympic Stadium (10 min), Train Station (5min), Shuttle Bus to Boryspil Airport (5min). Surrounded by several Restaurants, Night Clubs and Supermarkets. Perfect for groups. Can be accommodated up to 12 Guests. Price: 35 Euros/night/person for a minimum of 12 Guests to 40 Euros/night/person for a minimum 10 Guests. Available from 1st of June till 1st of July. Minimum 7 days required for booking.